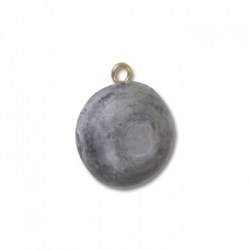 Our Round Cushion sinker offers great control in slow currents. The flattened design maximizes holding power for minimal weight, and the round profile will slip through rocks and over structure. Perfect for slow current situations where you want maximum feel of your bait.